Whether you like it deep-fried Hong Kong-style or pan-fried as per tradition, Hannah Hodson gets the lowdown on where to find the best of both types of French toast in Hong Kong. If you’re looking for a slightly more upmarket brunch experience, look no further than Café Gray Deluxe. On the 49th floor of The Upper House, you’ll be met with stunning views of the harbour. 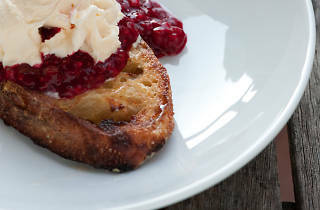 The eatery doesn’t serve your average French toast – this one is a Nutella-filled brioche served with a sour cherry compote. Compared to others it’s expensive, but definitely worth trying. $150. 49/F, The Upper House, Pacific Place, 88 Queensway, Admiralty, 3968 1106; cafegrayhk.com. With nine outlets across the city, Classified is never too far away for a toasty delight. Dished up with fresh banana and oodles of maple syrup, it’s the most convenient place to get your French toast fix. Not to mention the relaxed interiors make it the ideal place to unwind with this indulgent treat. $46. Various locations inc 108 Hollywood Rd, Sheung Wan, 2525 3454; classifiedfood.com. Spoil yourself with the traditional French toast, AKA pain perdu, at this quintessentially French restaurant. 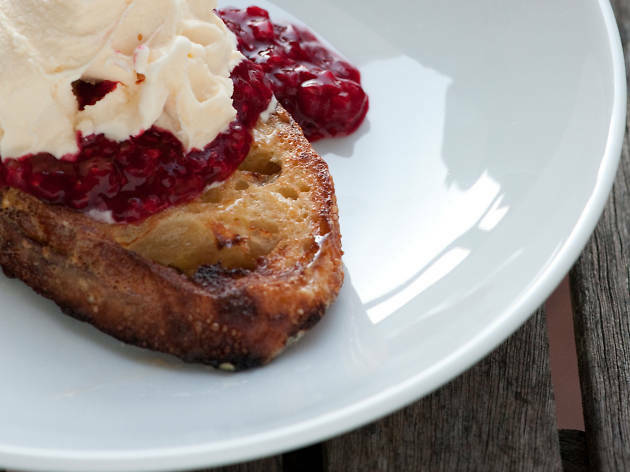 Putting a twist on the French toast that we know and love, the sweet is made with baguettes instead of sliced bread. The restaurant itself offers a little je ne sais quoi; with stripped back interiors exposing original brick and distressed timber, you can imagine yourself in a little hideaway bistro in Paris’ bohemian Latin Quarter. $65. 62 Hollywood Rd, Central, 2776 6070. Not for the health conscious, with lashings of condensed milk and butter this 1.5-inch thick slab of toast is an absolute feast in its own right. A cha chaan teng located in the hustle and bustle of Mong Kok, Man Wah offers a range of local goodies, but the French toast is the one customers travel here for. $19. 153-159 Tung Choi St, Mong Kok, 2392 4880. Want the best of both worlds? Located in Sheung Wan’s cooked food centre, this famous cha chaan teng serves an ever so slightly healthier version of one of the territory’s most popular snacks. Covered in beaten egg then pan-fried, rather than the usual deep fry, and subsequently slathered in condensed milk, this one is for those who like their toast Hong Kong-style but with the added flavour of fresh eggs. Judging by the long queues every tea time, it’s a winning formula. $22. Shop 17, 2/F, Sheung Wan Municipal Services Bldg, 345 Queen’s Rd C, Sheung Wan, 2850 8643. This no-frills joint dishes up what is said by some to be the best Hong Kong-style French toast in the entire city. Unlike many local eateries that serve the delicacy, Si Yik offers the toast with kaya – a sweet coconut jam – instead of peanut butter. Located in Stanley Market, this little dai pai dong is tucked away from the hoards of tourists, providing a more local experience. $22. 2 Stanley Market Rd, Stanley, 2813 0503.